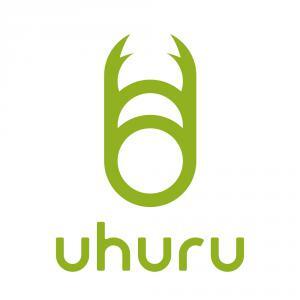 Uhuru Corp. announced the opening of a new R&D facility in Shirahama Town, an area known as a hub for testing new disruptive technologies. MINATO-KU, TOKYO, JAPAN, April 9, 2019 /EINPresswire.com/ — Tokyo, Japan: Uhuru Corporation is pleased to announce today the opening of a new R&D facility in Shirahama Town on the south coast of Japan’s main island, an area known as a hub for testing new disruptive technologies. Uhuru’s new facility will focus on the development of distributed ledger technologies, namely blockchain. Uhuru believes that introducing advanced technologies like AI, IoT and blockchain to local industry is only meaningful if there are practical applications for the technology. Research conducted by Uhuru across Japan shows that most projects have not managed to progress past the Proof of Concept (PoC) stage to mass adoption. As a result, in order to ensure project success, Uhuru has chosen to collaborate with the various stakeholders from the outset to create new solutions enabling businesses to utilize IT and IoT to implement projects on a much wider scale. Uhuru has a number of key partners, including Wakayama Prefecture and Shirahama Town, Nanki-Shirahama Airport, Inc. and NEC Corporation. The first project Wakayama will launch is a “hands-free” sightseeing service, in which facial recognition technology is used to identify visitors and provide them with various services. Japan’s spiritual heartland is in Wakayama, where tourists flock to Kumano Kodo Pilgrimage Route, a World Heritage listed site; the Koyasan mountaintop temple complex; and the white sands of Shirarahama Beach. Working with Uhuru, the region is also looking to eventually expand the “Omotenashi” (hospitality) experience to mobility and transportation, restaurants, shopping, office spaces, and various activities. Advanced technologies including face recognition and blockchain are vital in developing these services. Atsushi Kojo will relocate to Shirahama to work on the development of the aforementioned new technologies. Uhuru plans to hire a number of new engineers to staff the R&D facility in Wakayama. Administrator: Nanki Shirahama Airport Building Co., Ltd.
＊The United Nations Centre for Trade Facilitation and Electronic Business (UN/CEFACT) is a subsidiary, intergovernmental body of the United Nations Economic Commission for Europe (UNECE) which serves as a focal point within the United Nations Economic and Social Council for trade facilitation recommendations and electronic business standards, as well as formulation of related global policies and technological specifications. It maintains the United Nations/Electronic Data Interchange for Administration, Commerce and Transport (UN/EDIFACT), the international EDI standard, and facilitates various technological specifications for next-generation EDI and common dictionary for EDI. PLEASE NOTE: Names of companies, products and services contained in this news release are trademarks or registered trademarks of Uhuru or the respective companies and organizations.